free breakfast with standard room bookings: we serve breakfast from 7:30 am to 10:30 am every morning. Breakfast is buffet one. daily cleaning. Please place th cleaning sign outside your door to notify the chambermaids of your cleaning request. Please note that when you book a budget room it does not contain the following services: breakfast, towels, daily cleaning. 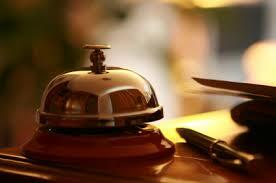 What hotel services and facilities make a hotel have 3 stars?